How many times do we watch the news and feel helpless, surrounded by problems too enormous to understand, to say nothing of solve? Imagine then, being young, and feeling the same way. But it doesn’t have to be like that. One option is Choose2Matter. 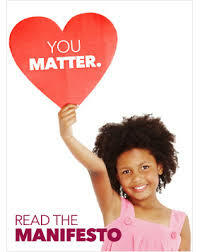 Choose2Matter started in 2011 with Angela Maiers’ TED deMoines talk focused on the power of two words, “You matter.” It has grown to an organization described as “a crowd sourced, social good community,”—a place in which young people are challenged to make a difference. 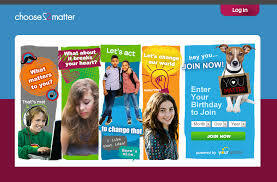 Choose2Matter has sponsored a contest titled Quest2Matter, in which young people ages 5 and up come together to tackle problems that “break their hearts”. I love that focus—not, obviously, because I like the idea that children’s hearts can be broken, but because I know they can be, and most children feel powerless to do anything about it. The Quest2Matter website and blog provide resources and inspiration to push back against helplessness. Whether the issue is human rights or bullying, cancer or recycling, there are things young people can do. It isn’t clear from the website if the contest continues in a formal sense this year, though lots of entries from 2013 are available for viewing. But it doesn’t matter. You matter. Your students matter. And Choose2Matter can inspire them. I can guess what you are thinking. “Common Core doesn’t require this.” “My principal won’t support this.” “My job is to teach X, not to change the world.” Well, Common Core skills can be found in lots of places, principals can be convinced, and your job is to teach (and raise) children, and make sure their world is better. I’m on a soapbox today. You matter. They matter. Please make sure they know it.